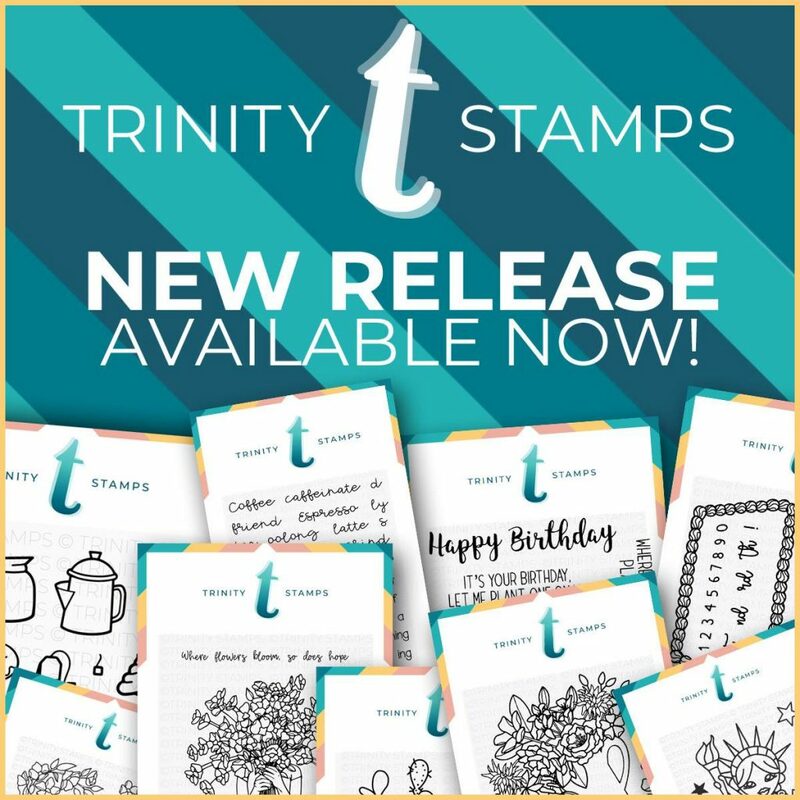 The Trinity Stamps First Release is now available in the store. To celebrate the grand opening, we are having a fantastic blog hop packed with amazing talent & inspiration. So please hop along with us to be inspired! Be sure to visit each blog & leave a comment to be entered to win!!! We are giving away a $50 gift card to the Trinity Stamps store, a $20 gift card to Therm-o-web, $25 Ellen Hutson Gift Card, $25 Simon Says Stamp Gift Card, 2 ink pad bundles from Imagine Crafts, and a $25 gift card to WOW Embossing. There are plenty of chances to win one of these fantastic prizes. Thank you so much to all the Sponsors!! The winners will be posted on our blog on June 6th. -Happy Crafting from the Trinity Tribe!! 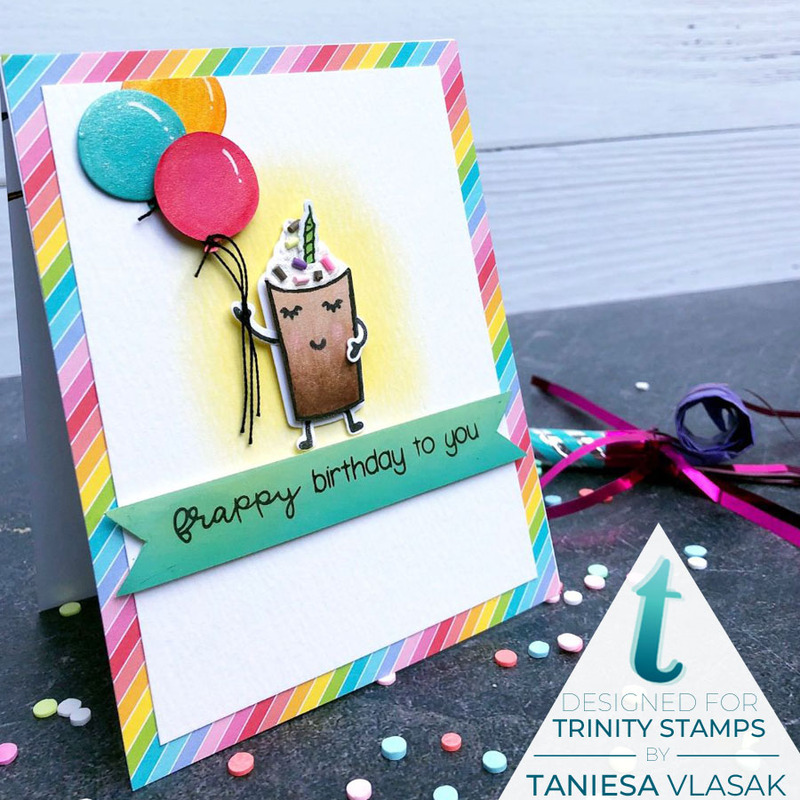 A little more about Trinity Stamps and our first release! Congratulations on opening your store! Can’t wait to see your products. Congratulations on your Grand Opening — excited to see your products!! Cool, love stamps, gonna check yours out! Always up for some inspiration. Congrats on the new store! So excited about new stamps! Congratulations! It is so exciting to see more talented people making more stamps for us stampers. Congratulations on opening up the shop!! All your artwork is stunning! Congrats on your big day! I love the little coffee set with the arms and faces. Congrats on the grand opening! Off to hop & check out the new release. Congratulations on your grand opening..I came across this gorgeous floral card by Melissa and had to check the company. Glad I did that. What gorgeous designs! Congratulations! You have come in with a bang. What a FABULOUS debut release. LOVED everything ♥ Can’t wait to see what the future has in store. Very much looking forward to your future releases. Congrats on your new company!!! Love your stamps and dies! Congratulations!!! Great first release. I can’t wait to get my hands on the coffee one and start creating. Congratulations on your new endeavor! Wish you all the best! Congratulations on your opening! Woohoo! Congrats on the new line of stamps and opening your store. It’s great to realize your dreams! Congrats on your first release! Love the florals! Excited to look at your products. Congrats on your new store!! All the best! Congrats on your new store! All the best! Congrats! Your stamps are so wonderful! Best of luck to you! Congratulations! I’m a fan already from what i saw yesterday, hopping along now to see what other amazing stamps you have. Super big congratulations!!!! Very happy for you and the amazing design team!! Wow I absolutely love everything! My favorite thing though is the different feet and arms to go with the faces. Congratulations on your Grand Opening; very excited to see your products! Congratulations on your wonderful new release. Enjoyed the inspiration hop. Congrats on the new store and stamps!! Looking forward to seeing the stamps and the inspiration!! Happy Grand Opening! It looks like this the start of a beautiful relationship. Florals, succulents and coffee themed sets, I’m so there! Congratulations on this new endeavor! I look forward to the blog hop and seeing what all these amazing designers do with all these fun sets. Thanks for being so generous and setting up this great hop. Congrats on the opening! I can’t wait to see all the awesome products you will come out with!! Congratulations…loving your first sets…can’t wait to see where you go with your business! Congratulations on your grand opening! So excited to see all the inspiration. Congratulations!!! I love your new stamps/dies. Can’t wait to try them! Excited to learn about a new stamp company and see your products! Congratulations on the new adventure! The new release is fun and exciting! And sprinkles!!! Best of luck. By what I’ve checked out, it all seems promising! Wow, this will be exciting to see what’s happening as Trinity Stamps grows! Congrats!! Congratulations on opening your store. Your products look fabulous! Congratulations! How exciting to be launching your first release! Beautiful products, so excited to see more inspiration. Fabulous first release! Congrats on your new adventure! I love the sentiment! Adorable card. Good luck with the release. Huge congrats on the grand opening!! I can already see some sets that I am going to have to own – great job!! Congratulations on opening a store. I can’t wait to place my first order. I’m definitely needing the girl holding the bouquet of flowers. Congratulations and best wishes! I’m excited to see what the designers have done with your fabulous new products! Congrats on your first release of stamps, they look AMAZING! Good luck on your new stamp company. Yay a new stamp store to love. What a cute card love it. Congratulations on your new store opening! Best of luck for much success! Thanks for sponsoring an amazing Grand Opening giveaway, and for bringing us adorable new releases and beautiful design inspiration! congrats on your new store… the stamp sets are so fun and fresh! I’m back from the hop and it was such a great one !! Only great cards with people absolutely thrilled by this new company’s birth ! So again congratulations and long life to Trinity Stamps !! Congratulations on your opening! Best Wishes! Congratulations on your opening. Can’t wait to get some stamps. Congrats on your grand opening and I enjoyed the blog hop. Congrats on your grand opening! A comedian’s great line, It’s a good day tater! “I really need to spend less on stamping”—paying cc bill. Sees Trinity Stamps: I need a few more stamps! Congratulations on your grand opening! Great stamp designs!! Happy Dance – Congrats on the New Store opening – I am doing this hop and looking forward to viewing your products – blessings! Congratulations! This is so exciting! I’m looking forward to the hop! How exciting! I’m looking forward to the hop and to seeing the Trinity Stamps designs! Congrats on your stamp brand! I already saw a lot of great products from you! Congrats. Can’t wait to hop and see all the great cards. Congratulations!!!!! Sweet card and hanks for sharing the blog hop. what a fabulous new set!!! Congrats on the launch of your new venture. Looking forward to great inspiration along the hop. Woo hoo! Your first launch looks amazing! Can’t wait to see more! Congrats on your amazing rlease!!! Thanks for this amazing giveaway! Welcome to the party! I am sure we are going to be friends. “LOL” is so overdone, but I actually did. And I am still smiling. Thank you. Congratulations on your grand opening! I just happened to stumble upon Kelly’s post and video, and your new release is looking like a whole lot of fun! Congratulations on your new opening. Fabulous release ! Congrats!! Love what I see so far!